During her appearance on Gandang Gabi Vice on July 7, Sunday, Sarah Geronimo was asked about her past relationships because she was promoting her new movie The Breakup Playlist. “Kailan ka huli nasaktan sa pag-ibig?” Vice Ganda asked. 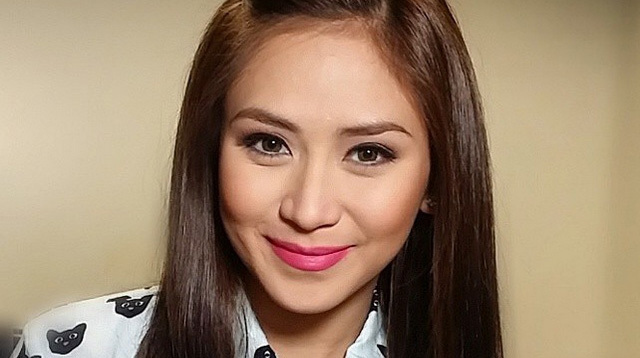 "2012," Sarah replied, referring to her split with actor Gerald Anderson. The singer was also asked about her first love Rayver Cruz (the two broke up in 2010), and revealed that they, too, are "friends" and are "okay." However, she clarified that she won’t be hanging out or doing any production numbers with Rayver anytime soon. "Nahihiya ako eh. Pagiisipan ko muna," she joked.